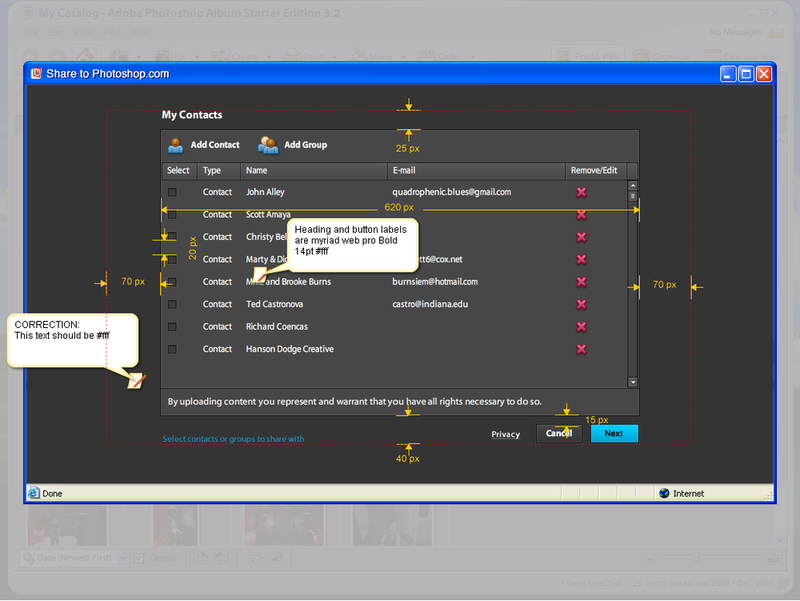 Workflow for sharing an album to Photoshop.com from the Elements Organizer. 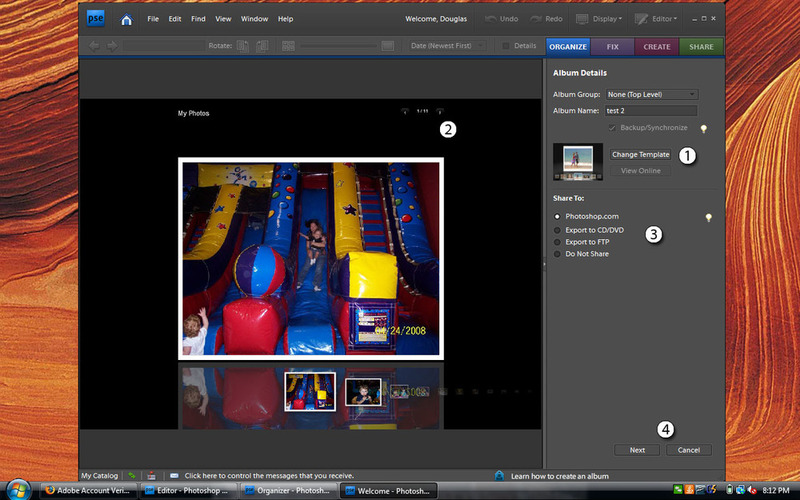 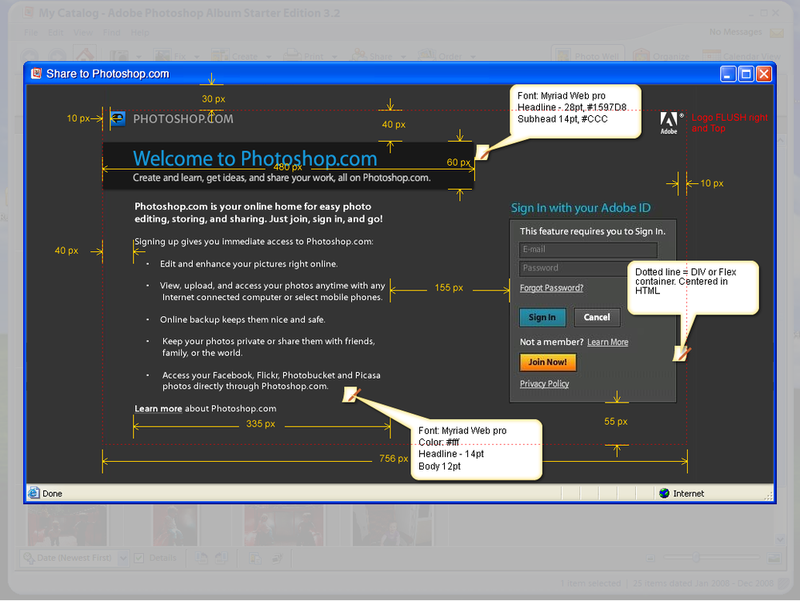 Photoshop.com was Adobe's first "software as a service" product offering. 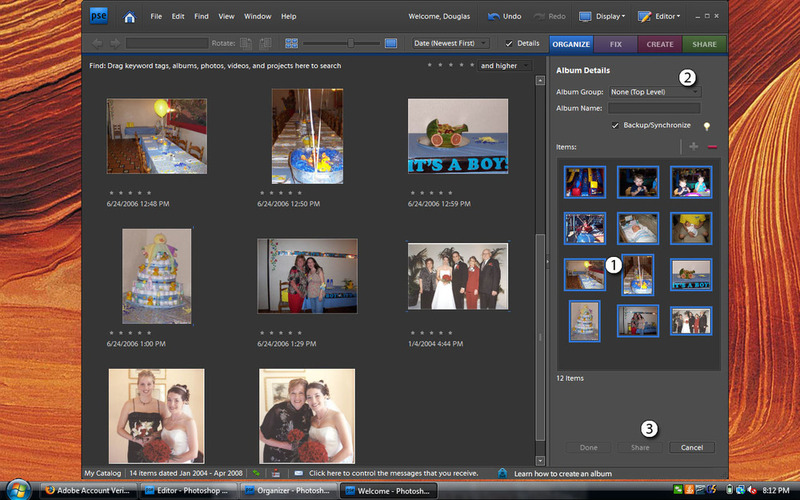 I was the design lead on PS.com as well as on the Elements hobbyist line, and worked on the sharing workflows and synchronization technology that tied the two products together. 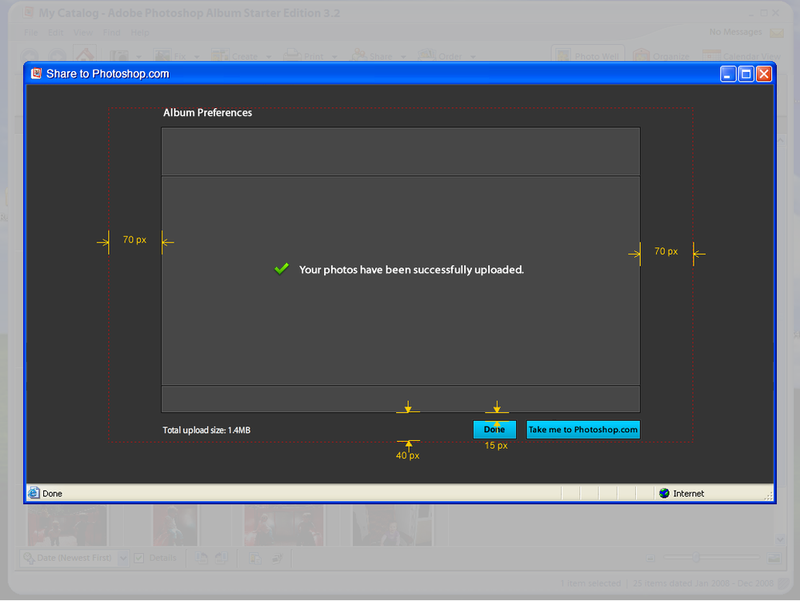 To share/unshare this album click the sharing icon for the selected album.